Stark Construction specializes in custom homes and remodels on the Eastside and Seattle areas. Our superior products, unique designs, creativity, and commitment to our client’s needs set us apart in the custom construction business. 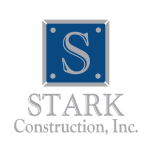 Explore our website to discover more about our approach and results, then contact us to start realizing your vision with Stark Construction. Stark Construction has been building and remodeling quality homes on the Eastside and in Seattle for over 30 years. We have forged relationships with the best architects, subcontractors, and craftsmen in the area, and can bring that expertise together to make your home construction dreams a reality.